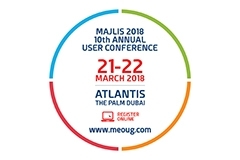 Being an Independent Oracle User Group, MEOUG aims to be a platform, that brings together - Oracle users across Middle East in direct contact with Oracle Executives, SI's. 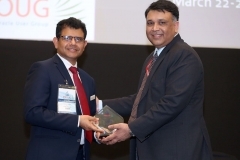 The Middle East region has some award winning Oracle implementations and we want to showcase these successes achieved by Oracle users. Our Annual User Conference - MAJLIS every year from 8 countries, 12 Industry sectors. Our next priority is to strengthen our activities in UAE, KSA, Qatar, Kuwait, Oman & Bahrain - through our Special Interest Groups - E Business, Retail, Healthcare, JDE, Hardware, Fusion Apps and BI. The objective of MEOUG SIGs is to facilitate Oracle Technology/Applications information sharing and peer-to-peer association specific Oracle Products, as well as a specific industry. This is achieved with SIG Meetings. 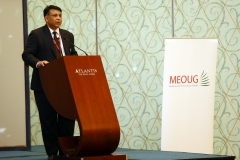 By providing multiple channels for user driven education, the MEOUG ensures that the Oracle community will continue to grow and prosper. 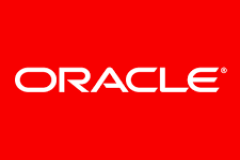 SIG members share a common interest concerning specific Oracle Applications products, as well as a specific industry. 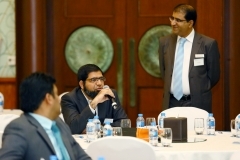 SIG members may be geographically dispersed and typically meet at Annual MEOUG Majlis conferences. 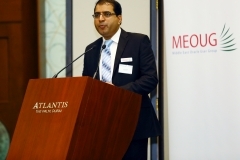 The MEOUG GEOs are located in the Bahrain, Kuwait, Oman, Qatar Saudi Arabia and UAE regions. GEO members belong to defined geographic region and meet to facilitate networking within Oracle users. Members discuss and share ideas concerning many diverse topics. 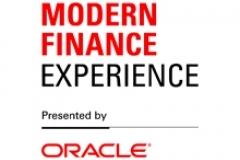 They also provide an opportunity to network with other Oracle users in a local region and around the globe.